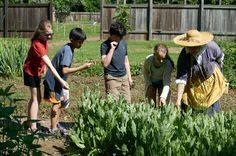 Become a member of The Pennsbury Society, the non-profit 501(c)(3) organization that exists to support Pennsbury Manor. See how you can become a member today. A Corporate Partnership with The Pennsbury Society shows your company values history, tradition, and education. In return, The Pennsbury Society offers a mutually beneficial partnership for your employees, your company, and exposure of your company and brand through signage and our website. Participate in Pennsylvania’s Educational Improvement Tax Credit (EITC) program. EITC provides companies with a 75% tax credit for donations they make to a non-profit educational improvement organization. The tax credit increases to 90% if the company commits to making the same donations for two consecutive years. A business paying taxes in Pennsylvania can receive up to $750,000 in tax credits annually. More importantly, the EITC provides children and families with a choice in their education and a chance in life. Click here for more information on the EITC program. The animals at Pennsbury Manor play an important role in the overall interpretation of William Penn and daily life in 17th century Pennsylvania. Donations to the animal fund are used towards food, preventative health care, emergency health care, supplies, and pasture maintenance. Pennsbury Manor and the Arbor Day Foundation have joined together to plant trees at Pennsbury! Join the Arbor Day Foundation today for $10 and they will donate 10 trees to plant at Pennsbury Manor. Annual fundraising events such as Brews & Bites, Escape Room, and Holly Nights offer exciting opportunities to enjoy Pennsbury Manor in a whole new light. Consider joining us during one of these upcoming events. We also offer a simple, easy way to support Pennsbury Manor by clicking on the Donate Now button below. 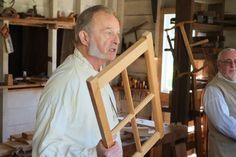 Pennsbury Manor is administered by the Pennsylvania Historic & Museum Commission (PHMC) with the support of The Pennsbury Society, a non-profit 501 (c)(3) organization.